Sold in Only 29 Days! 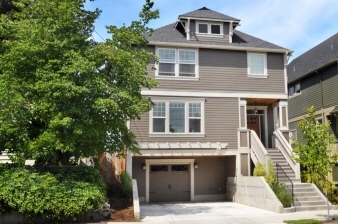 Exceptional Move-in Ready, LEED Certified & Vintage-Inspired Home! Open & Spacious-Perfect for Entertaining! Island Kitchen w/Slab Granite & SS Appliances! Bamboo Floors. Period Touches Throughout, Extensive Millwork incl. Box Beams! Gorgeous Master Suite! Potential 4th Bedrm w/WI Closet or Fam Rm. Views of Mt St Helen's. Fenced Yard. Low Utility Bills Only $89/month! Walk Score 74. Numerous Upgrades: Too Many to List!